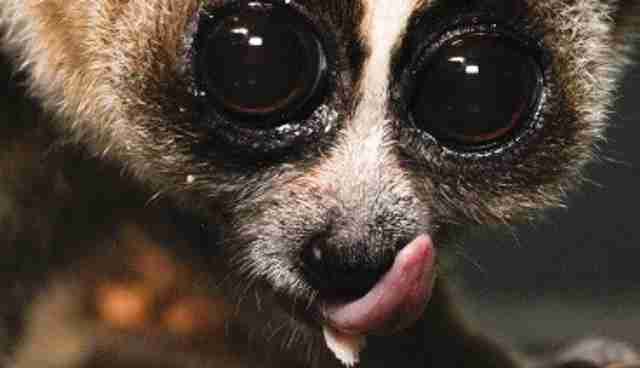 About eight months ago, during a drug raid in the Maldives, the police found a rare Bengal slow loris. The little primate, which the officers named Kalo, meaning "Buddy," was taken to Dhoonidhoo, a prison island near the Maldives capital of Malé; there, he spent his time sleeping during the day and eating bananas and baby food, according to the BBC. But his stay on Dhoonidhoo recently came to an end. Kalo flew 5,000 miles to the UK, where he'll spend four months at the primate sanctuary Monkey World before heading to a permanent home at a wildlife trust. "Traveling at more than 500 mph with us, our special little guest was for once not such a slow loris!" British Airways Captain Will Rennie tells the Western Daily Press. Considering the rarity of slow lorises - listed as vulnerable by the International Union for the Conservation of Nature, these primates number in the thousands - the airline took care to ensure its precious cargo was comfortable for the flight. Alison Cronin, director of Monkey World, asked British authorities for permission to bring Kalo to England. She tells the BBC that "It would have been a huge loss if a healthy, vulnerable animal had to be destroyed." 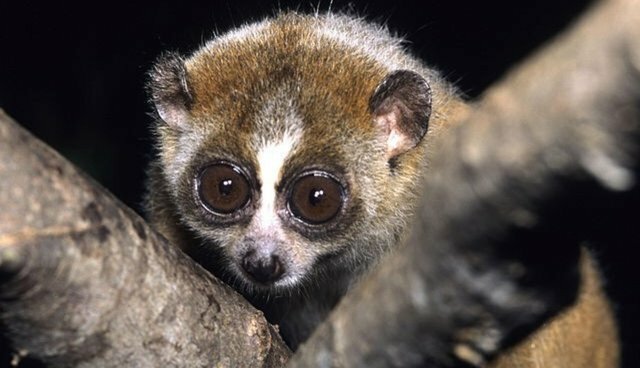 The population of slow lorises is on the decline, due to the twin threats of habitat loss and human trade. With Ewok-ish features (their wide-eyed stare allows these nocturnal primates to forage at night), slow lorises are certainly cute. But, as wild - and venomous - primates, they don't make good pets. It's also against the law to capture slow lorises in their native countries, making virtually every pet loris illegal to boot.